Kia Sorento partnered together with Twentieth Century Fox Home Entertainment made Kia Sorento themed X-men. 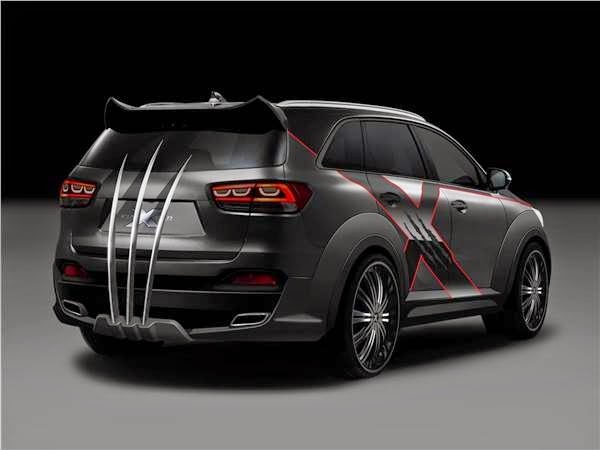 Sorento owned Wolverine claws of the bottom of the bumper towards the headlights give the impression fierce that will help the promotion of Blu-Ray and DVD Xmen: Days of Future Past, also will be used as a marketing tool in the Australian Open next year. Cars X-men will make his debut on 19 January at Melbourne Park and will continue to be displayed until February 1st. 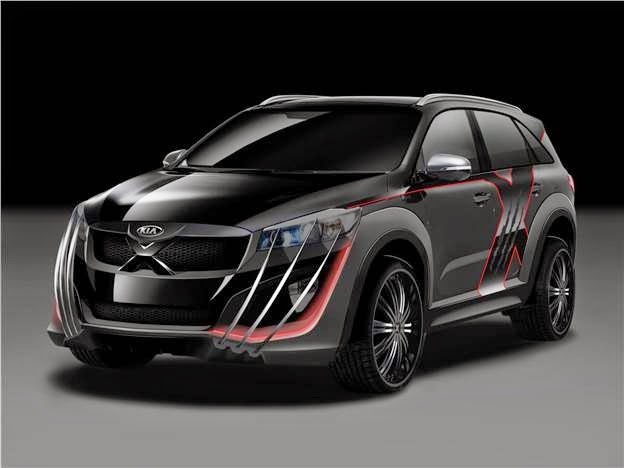 However, Kia plans to bring this car to the international auto show in 2015. Currently featuring the all-new Kia Sorento (specification United States) at the Los Angeles Auto Show. This SUV is equipped with three engine options, the 2.4-liter GDI-powered 185 hp, 2.0-liter GDI turbo-powered 240 hp, 3.3-liter V6 and 290 hp. All cars are fitted with a six-speed automatic transmission with AWD drive (optional).